When starting a small business, the legal and liability issues that you face can seem daunting. You’ve got a great idea that you want to bring to the world, but you feel bogged down by choosing the right legal structure and the right insurance coverage. But protecting your personal assets as a small business owner is essential. You might be tempted to go the easiest route, operating as a sole proprietor and having little separation between you and your business. But as you grow and your business becomes more complex, this arrangement can leave your personal assets vulnerable to claims or lawsuits. 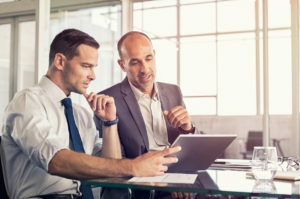 Keep reading to learn about the various legal structures and liability insurance options that can help protect your personal assets regardless of what happens in your business. Learning about protecting personal assets for small business owners. A Limited Liability Company, or LLC, is a legal business structure that keeps your business assets and liabilities separate from your personal ones. If you create your LLC properly and take care to keep your bookkeeping, bank accounts, and assets separated, an LLC can protect you if your business is sued or needs to declare bankruptcy. You can create an LLC yourself on several legal assistance websites, but we recommend consulting with a professional to make sure your LLC is set up correctly. A single-member LLC (with only yourself as a member) is very straightforward; if you have a business partner (even your spouse), you will need to create a multi-member LLC and determine what percentage of the company each member owns. After switching from a sole proprietorship to an LLC, check with your tax preparer to learn about any changes to your taxes. Commercial insurance coverage is the best way to protect your personal assets, whether you form an LLC or operate as a sole proprietorship. Make sure you take the time to understand all of the coverage options so that your assets are protected on all fronts. The right policy for your business depends on several factors. This is the basic form of commercial insurance and covers your basic liability if someone gets injured or property is damaged in the course of your work. It can cover things like legal fees as the result of a lawsuit, or costs relating to copyright issues. A general liability policy is a good foundation to build on, but it doesn’t cover every situation your business might face. To go one step further than general liability insurance, you may want a business owner’s policy. This kind of insurance generally combines a general liability policy with additional property protection. If you use cars or trucks as part of your business, you need to consider a commercial vehicle insurance policy. While you can use your personal auto insurance to cover vehicles that are used for both personal and business purposes, a commercial policy may provide better protection. If you have vehicles that are only used in your business, they need to be covered by a commercial vehicle policy. A workers’ compensation insurance policy protects your business from costs incurred by worker injury, long-term issues like repetitive stress or lung damage, and even the death of a worker. Many states require workers’ comp if you have insurance, so be sure to check your state’s laws when making a decision about your workers’ compensation insurance. One way to make sure you’re covered against a truly catastrophic event is to have the right commercial umbrella policy. This type of insurance policy expands the coverage provided by other policies. Your insurance agent can help you determine the right scope for an umbrella policy depending on your business type, size, and value of assets. For certain types of businesses, a professional liability policy is needed in addition to other types of liability insurance. This type of commercial insurance usually applies to financial losses suffered by a client of the business due to errors or omissions committed by the insured. It is usually needed by professionals like accountants, attorneys, or consultants. No matter what type of business you own, it’s in your best interest to protect both your business and personal assets with the right commercial insurance policies. CommercialInsurance.net can help you compare policies, get quotes, and find the right commercial insurance policy for your needs. Our mission is to help small businesses find the most affordable commercial insurance. At Commercialinsurance.net, we have access to industry-focused experts. You can visit our website and enter your zip code or call us at 1-877-907-5267 for a quick and easy quote. Uber, Lyft, and other rideshare companies have made it easy for people to use their personal vehicles for business. Many takeaway food services also hire individuals to deliver food to customers. Other companies, including Amazon Flex, hire private drivers for deliveries, too. This type of business allows people to earn extra income using their own vehicles. Insurance is required for all owners and drivers of vehicles. But if you want to use your car for business purposes, your personal coverage may not be enough. Special hybrid policies are now available so you can use your vehicle for rideshares or deliveries. Carefully examine your individual policy or talk with an insurance expert to determine what is already covered. Then you can decide what additional insurance for business you need, even if the company you work with has some degree of third-party coverage. CommercialInsurance.NET can help you find the right coverage for deliveries and ridesharing. Do You Want to Start Ridesharing? They have passengers in their vehicles. However, the companies expect drivers to have their own personal liability, collision, and damage insurance. These two major rideshare companies have smartphone apps that drivers turn on when they are available. This process is divided into three phases or periods. Phase one is alerting the company that you are available for service. Phase two is accepting an assignment and driving to the pickup location. Phase three is delivering passengers to their destination. Lyft and Uber will not cover you if there is an accident while you are waiting for a pickup call. You could be in your vehicle after you drop off passengers and are driving to a more central location to wait for another pickup. If someone cuts in front of you and causes a fender-bender, you will not be covered by Lyft or Uber. Your personal insurance will have to cover damages if you are not on your way to a pickup. If you cause a collision while you are headed to a pickup location, the rideshare company will cover damages to your vehicle. They may also cover any medical claims if you are responsible for the accident. But this could your personal insurance record and it will potentially harm your position with the company. If someone else hits your vehicle, that person’s insurance should cover any damages and medical costs. If the offending driver does not have sufficient insurance, Lyft or Uber should make up the difference with their insurance. Passengers are covered by the two rideshare companies if there is an accident when they are in the vehicle. Who caused the accident and how it happened will also be important. As with the second phase, another driver will be liable for damages if he or she caused the accident. The rideshare driver should report an accident immediately to the police. The incident should also be reported immediately to the rideshare company and the driver’s private insurance company. If you want to work with another ridesharing company, talk to an insurance representative for each company’s coverage details. Do You Want to Be a Delivery Driver? You may decide to work part-time delivering pizzas, other foods, or cargo to customers in your own vehicle. 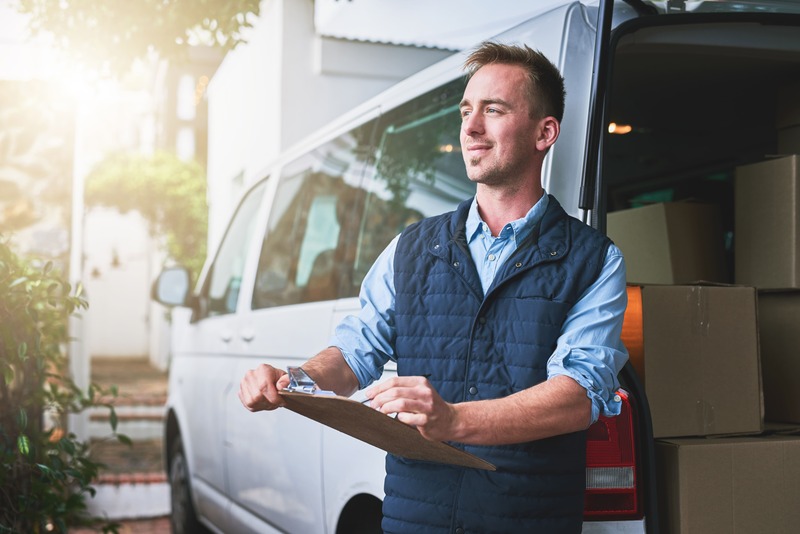 As one-day delivery becomes standard, there’s plenty of demand for enterprising individuals to start their own delivery routes. The types of personal and commercial coverage you need will depend on the company and the products to be delivered. You will be an independent contractor and you may need a separate business license in some states. Will You Be Handling Cargo? Your personal vehicle insurance will probably not cover deliveries, especially in regards to cargo. Separate commercial insurance that covers cargo may be required before you can work as an independent delivery service. Many insurance companies believe that cargo delivery drivers require more insurance than rideshare drivers. The drivers are responsible for the cargo while it is in their vehicles. Drivers make more stops and the cargo can be damaged or even stolen. Doordash and Postmates are two companies that hire independent delivery people and provide third-party excess insurance for drivers making deliveries of food and groceries. Some Uber drivers also deliver food. All companies require drivers to carry their own personal liability and damage insurance. Third-party excess insurance only covers property damage or bodily injuries if they are not completely covered by the driver’s personal insurance. Pizza franchises that do not have their own vehicles may also provide third-party insurance coverage while the delivery is in progress. Drivers must carry their own comprehensive insurance. At CommercialInsurance.NET we will help you find the right insurance to cover your rideshare or delivery service. We will find policies tailored to your needs based on the type of services you offer. Your vehicle and its safety features are always taken into consideration along with your driving record. We will find you the best companies and policies for your new business. Get a quote fast and easy with us by calling 1-877-907-5267 or visiting our website and entering your zip code.